No two people are the same, and likewise, no two funerals are the same either. When it comes to funeral etiquette, it’s nearly impossible to create a universal guide. Traditional funerals, a celebration of life, or a memorial service are each distinctly different in their own ways. When you mix in things like culture, religion, or even region, they become even more different. With that being said, there are some general rules that should be followed. Whether you have been to one funeral or several, navigating these waters is never the same. The following are general rules for basic funeral behaviour. Often, using your common sense should help you through the funeral service. A funeral service is uncomfortable for many people. 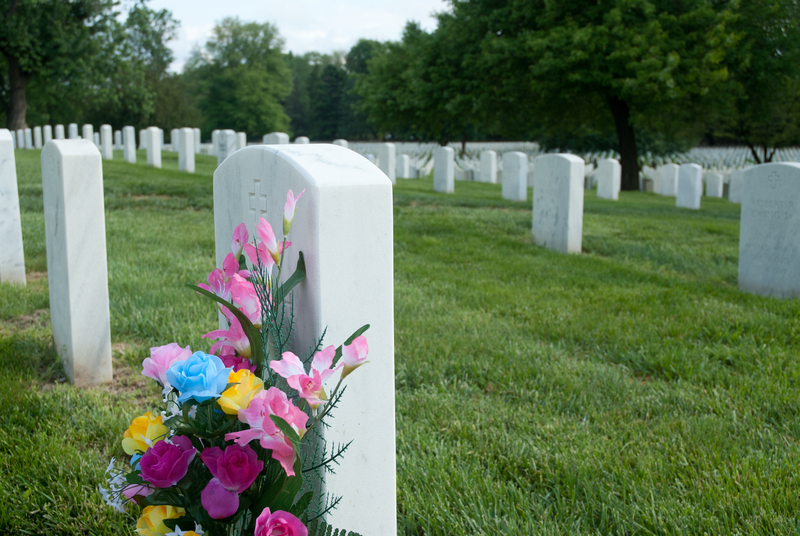 By following our funeral etiquette guidelines, you will feel prepared and ready for the service. What To Wear To A Funeral? When it comes to funeral attire, conservative clothing is always recommended. For men, a dark suit or slacks and a dress shirt is preferred. For women, a dress, business suit, or dress pants and nice sweater. Stick to colors like black, navy, grey, or red-violet. Avoid loud colors and vibrant patterns at all costs. When To Arrive and Leave The Funeral Service? The simple answer, fifteen minutes early. You never want to show up minutes before the service, or even worse, after it has already started. At the same time, don’t feel the need to arrive an hour early. Come with enough time to offer condolences to the family and say hello to some of the other guests. When the service is over, you do not have to stay very long. There is often a reception and this is when guests share stories and mingle with one another. If you do not want to stay, make sure you say goodbye to the family before you leave and offer condolences once again. How To Behave At A Funeral? If you’re unsure about how to behave at a funeral, the best advice is to watch, listen, and follow others. A funeral is a time to show your respect as you say goodbye to the deceased. Avoid causing distractions and do not be disrespectful. Make sure to turn your phone off before you arrive. If you feel uncomfortable, discreetly excuse yourself for a moment to gather some fresh air and compose yourself. Where To Sit During A Funeral? It’s important to know where you should sit during a funeral service. The seats at the very front are reserved for immediate family members. There will also be a section near the front reserved for pallbearers. Other than these reserved seats, guests should sit towards the middle or back rows. If there are many guests in attendance, you may have to sit in an overflow room or stand in the back. If you have been asked to be a pallbearer, consider it an honor. Make sure that you are dressed conservatively. As a part of the funeral service, you should look your best as you help lay the deceased to rest. Make sure to arrive no later than fifteen minutes before the service. The funeral director will talk to you about your role and answer any questions you may have. After the service, make sure to stay and interact with the guests for a little bit. Funeral flowers are often selected by family members or close friends of the family. Those who were close to the deceased are often responsible for selecting these flowers as they know the deceased’s tastes and what kinds of flowers and colors they would want to be included. The arrangements are often larger displays that can be viewed by anyone attending service, no matter where they are seated. Some of the common types of funeral flowers include wreath and sprays used to decorate the casket or large arrangements shaped like a heart or cross. Sympathy flowers are often smaller bouquets that are sent to the home of the bereaved instead of the funeral home. The flowers are meant to express your sympathy and let the grieving family know you are thinking of them during this difficult time. When it comes to funeral food, there’s no set menu. Depending on the venue and number of guests, you may want to hire a catering company. If you can’t afford a caterer, members of your community or church will most likely offer some assistance. Popular funeral foods include sandwich platters, baked goods, fruit trays, and other desserts. If you want to go above and beyond, comfort food is sure to please. Think of dishes like rich soups, macaroni and cheese, or lasagna. If You Can’t Attend A Funeral? If you are unable to attend a funeral service, there are many ways you can still be a part of the service. Some of the different ways you can express your sympathy include: sending flowers, making a donation, planting a memorial tree, or leaving a video condolence. It’s also important that you make sure to be there in the days after the funeral. Reach out to the family and be there to offer your support. Something as simple as calling to check in or dropping off some food can be immensely helpful. This entry was posted in Attending a Funeral, Funeral Advice, Funeral Planning Resources, Industry News on February 1st, 2018 by ObitTree .